Does this spider's bite give you incurable necrosis or a minor rash? This entry refers to the genus Lampona but with particular reference to a couple of species commonly known as the white tailed spiders. Lampona are hunting predators rather than ambush predators. They actively seek out and capture their prey rather than wait in a hole or on a web. The white tailed spiders are unsurprisingly characterized by a white marking at the back of their abdomen. Like most spiders they posses a venom which they use to kill and partially digest their prey. The effect of this venom on humans has been the subject of a lot of debate and misunderstanding. This photo is my own work, you can use it in whatever way you want for whatever purpose you want, withut conditions. If you do use it, I consider it good manners to include a link to this site. For whatever reason white tailed spider bites were associated with a horribly aggressive necrosis in humans for a long time. Some reported cases of this necrosis could not be cured and resulted in the loss of limbs. That white tailed spiders sometimes had this effect became an accepted fact in Australia with many cases of necrosis being 'recognized' as white tailed spider bites despite the fact that the spider was never seen or felt. 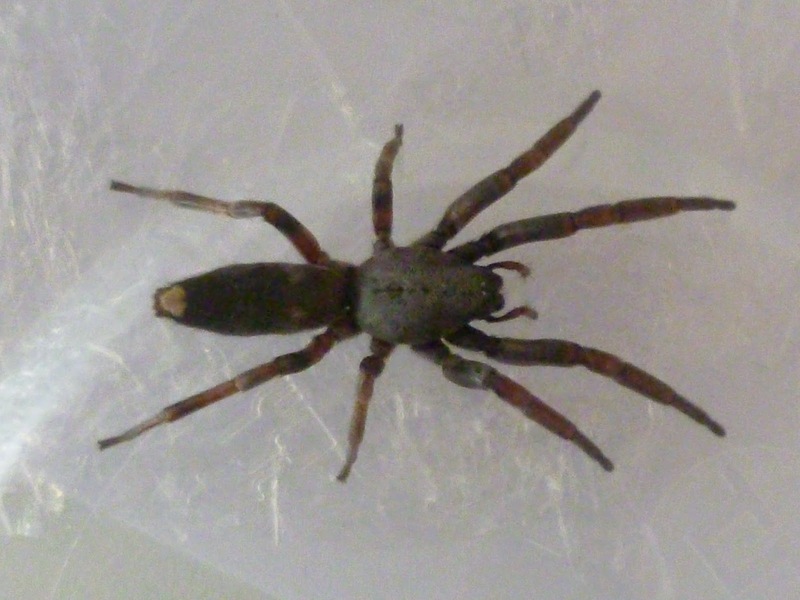 Scientists could not find anything in the white tailed spider which could cause necrosis, which frustrated them for a long time as they searched for an anti venom. 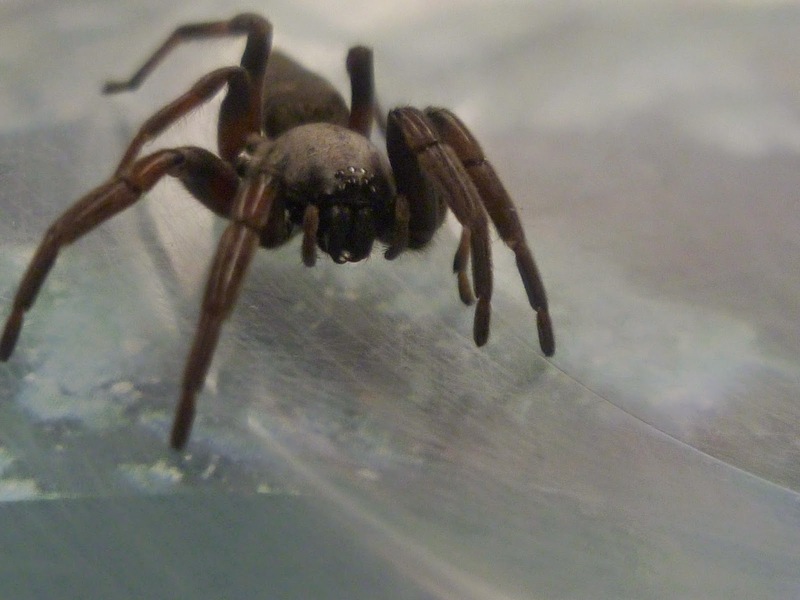 In all cases in which a white tailed spider bite can be verified the venom, at worst, causes minor skin irritation and pain and sometimes nausea. As it turns out the necrosis was being caused by toxins excreted by bacterial infections. No evidence has been found to associate these bacteria with the white tailed spider. I suppose the myth may have originated from cases in which the spider was carrying some necrotizing bacteria on their fangs by chance, or the bacteria was on the skin and simply entered the blood through the tiny punctures caused by the fangs after a bite. There is no evidence that this is the case but it would explain everything. The two species which are most commonly referred to as white tailed spiders are L. cylindrata and L. murina. I am not sure if all the spiders which posses the white marking form a monophyletic group.